What is quinoa? Chances are good that you’ve heard of quinoa, even if you’re pronouncing it wrong. It’s pronounced Keen-wa, rather than kwin-oh-ah. 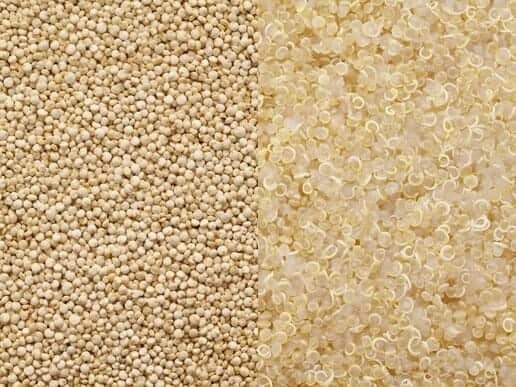 Technically a grain, quinoa has been used by native South Americans for thousands of years. It was partially replaced by European grains after the conquest of the New World but is today enjoying a significant resurgence thanks to its flavour, utility and its impressive health benefits. What is quinoa – Quinoa is only called a grain – it’s actually a seed, and it is related to spinach, beets and even Swiss chard. It brings some of the flavours of buckwheat to the table, which helps to explain at least some of its popularity. There are also three types on the market (white, red and black) that bring slightly different tastes. One of the most important reasons for the rise in popularity experienced by this food is the fact that it is a complete protein. Quinoa offers all nine essential amino acids. The human body cannot create these proteins itself and must obtain them through food. Quinoa is one of the few foods that actually contains all of the essential amino acids. With that being said, there are plenty of other reasons to love this seed. 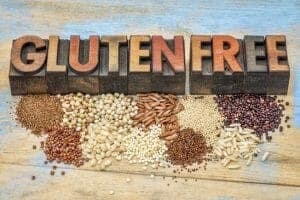 As our understanding of how gluten impacts our lives (even if you’re not gluten intolerant). More and more people are choosing to get away from it. Quinoa is a great choice, as it’s completely gluten-free. It also packs a lot of protein into a tiny package. This makes it a great choice for vegetarians and vegans looking for a protein alternative. In addition to protein, quinoa also packs in a decent amount of fibre. Fibre is needed for good gut health and to feel full, while also offering a good amount of iron for better nutrition. It’s also high in manganese, as well as niacin. Manganese helps to control bone deterioration and blood sugar, while niacin is important for controlling your cholesterol. You can eat quinoa in many different ways depending on how you purchase it. Like corn, quinoa is available whole, but also smashed into flakes that can be added to other dishes or eaten on their own. The most common way to buy quinoa on the market right now is ready to cook broken down. Although quinoa can be found whole, similar to a whole sweetcorn. When using a whole quinoa it is important to wash and rinse off the saponin off the outer husk. This is the chemical responsible for creating an unpleasant soapy flavour. Cooking quinoa is relatively simple, and really just requires boiling in some water, and it will not only taste better but won’t be quite as hard. Once cooked, it can be added to just about any dish you want. Native South Americans eat quinoa by itself, but in the US, you’re more likely to find it added to things like salads and dressings, veggie dishes and the like. It’s excellent added to a roast cauliflower salad and can be used as a replacement for everything from grits to risotto or even lentils. Depending on how you cook it, this grain offers a lot of nutrition. A single cup has 222 calories, but only 32 of those are from fat. It contains just 4 grammes of fat and no saturated fat. It also contains no cholesterol and only 13 mg of sodium. You’ll get 39 grammes of carbohydrates here, as well as 5 grammes of fibre and 8 grammes of protein. A single cup of quinoa also contains 15% of your RDA of iron and 3% of your RDA of calcium.